At the heart of the booming startup culture in India lies a strong influence of the oft-used buzzword “Sharing Economy”. It enables buyers and users to come together, use shared services and products across a diverse range, and reduce the burden and evils of manufacturing. Sharing economy has seen its manifestation in popular taxi hailing cabs like Uber and Ola, housing rentals like AirBnB and Couchsurfing and used goods marketplaces like Quikr and OLX. 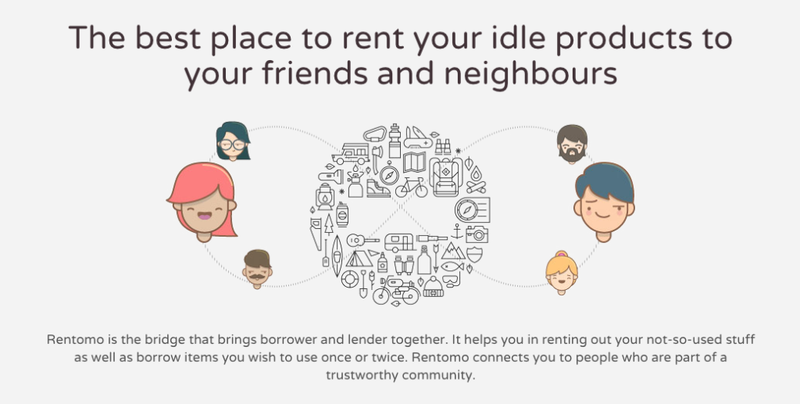 Another product of this wave is Rentomo, a platform that allows users to borrow and rent everyday items they may only occasionally need, and that from and to someone among their trusted network. The products can be easily uploaded on an easy platform, and rented for a small fees. “Rentomo is the bridge that brings borrower and lender together. It helps you in renting out your not-so-used stuff as well as borrow items you wish to use once or twice. Rentomo connects you to people who are part of a trustworthy community.”, says the website. 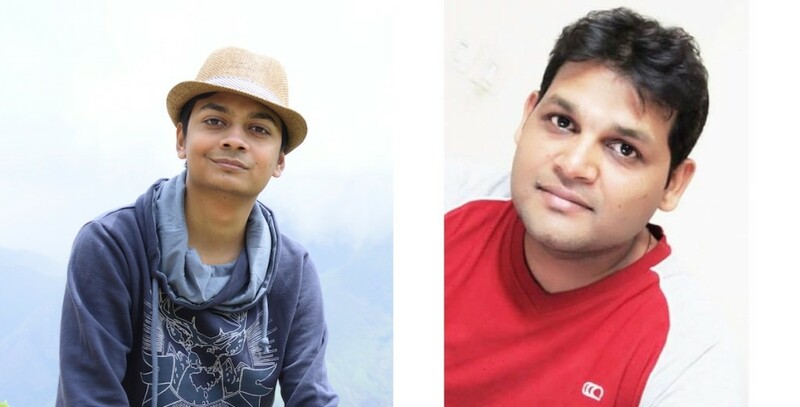 In an exclusive interview with OfficeChai the founders share their story and dreams for their startup. Started by Anshul Johri, who’s worked at ecommerce giants like Amazon, Bookadda, AskLaila, and Ibibo and Shubham Maheswari, who’s also worked at Amazon and Flipkart, Rentomo prides itself on being a part of the “sharing economy” culture. The idea of Rentomo struck when Anshul and his wife traveled to Europe and stayed at Airbnb hosts at multiple places. They were inspired by the AirBnB concept and realized its potential back home in India. When posts like these frequently show up on online communities, you know the product makes sense. Borrowers save money, and at the same time owner make money from the items that have been sparingly used. Anshul roped in his ex-Amazon colleague into the idea and the duo started with their research. They started with an initial market analysis, personally met few users in their apartments, companies, and other personal networks and ran the idea by them. Energised by the positive response, they started working on prototype, quit their jobs soon and jumped on the idea full time to make it a viable and scalable product. Since the duo have a technical background, they first concentrated on building a good MVP and focused on the kind of technologies that would sustain for the long term. They also focused on raising angel funding to be able to augment their investments in technology, people and product. They launched their 1st beta version in July 2015. And their idea seems to be taking off. “An acquaintance landed in Bangalore today from Delhi and he’d forgotten to bring his Macbook charger. He was supposed to attend a business meeting two hours after landing, and on the way to his client office he contacted me via Rentomo to borrow my charger for 2 days. Within half an hour he came over, picked up the charger and said a very warm thank you with a big smile on his face. He was even ready to pay me extra for it. And he was totally unaware that I was the founder of the company.”, beams Anshul. While Rentomo may have to field some competition what with the influx of the product-rental platforms, the co-founders insist that their model is different from the competition’s. “We are a peer-to-peer sharing marketplace while others are still into inventory-based models. We are investing into building technology behind the trust network”, says Anshul.